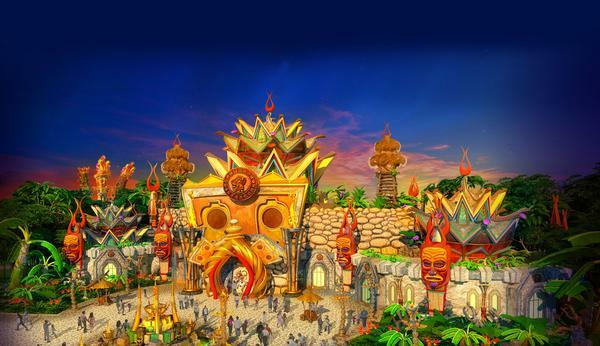 IDEATTACK, a global leader in tourism and leisure destination creation, is moving forward in the design phase of two major theme parks for China’s Evergrande Group, located in Kaifeng and Changsha cities. Evergrande, one of the largest real-estate companies in eastern Asia, has exclusively partnered with IDEATTACK on several theme parks set to open within the next few years, following a rigorous round of bidding and concept pitches by many of the top design firms in the industry. 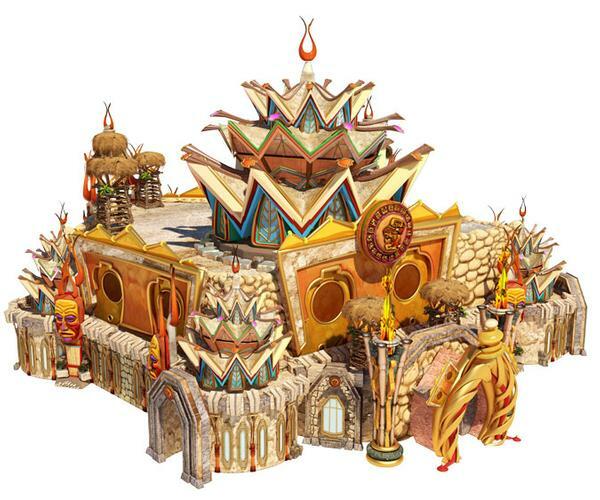 Over the past several months, IDEATTACK has been developing thrilling concepts for world-class attractions that will immerse guests in exotic, faraway places and enchanted worlds straight out of storybooks and the most fantastical reaches of the imagination. IDEATTACK is dedicated to creating guest experiences of the highest order, combining excellence in storytelling with cutting-edge placemaking technology and dazzling visual effects that will redefine the art of themed entertainment in China and beyond. 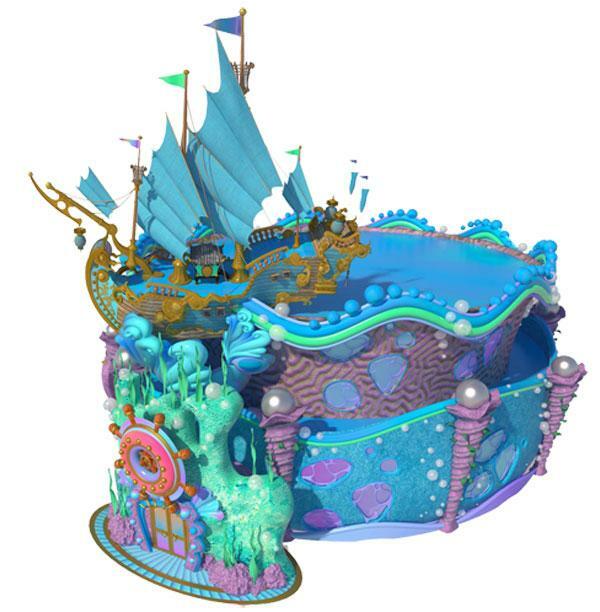 Air Race takes guests on a journey beneath the ocean, where a Mermaid King presides over a royal pavilion, entered through an antechamber made of coral fans and seashells of all shapes and sizes. Here in the boarding area, the king appears on a video wall to invite everyone to celebrate his reign. The Mermaid King takes his guests on a ‘flying’ tour of his underwater kingdom aboard shell-inspired vehicles, travelling through schools of fish, sharks and dolphins, while the long tentacles of jellyfish drift down from above. 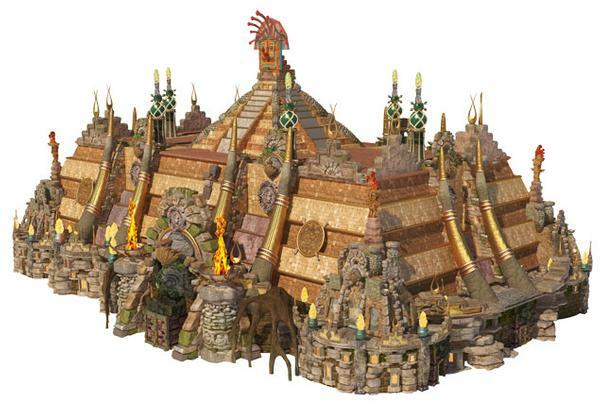 Curse of the Jaguar is a terrifying walk-through haunted attraction experience that places guests in the middle of an ancient Mayan pyramid, where evil spirits do their best to make the intruders permanent residents. The journey begins at an abandoned tourist expedition office in the South American jungle. With startling visual effects and terrifying jump scare moments, will the jaguar god of the underworld show mercy on the group of guests? The Guardians of the Amazon is a river ride adventure through the heart of the rainforest. Filled with danger and wonder, the family-friendly attraction educates guests about the Amazon region, its people and many different creatures, and the dangers of deforestation. Guests follow a jungle path into the village of an indigenous tribe where they meet Mateo, a native boy who talks about being a volunteer for the Amazon Patrol and the various beliefs of his elders. Boarding a 20-passenger boat ride, the adventure begins, drifting past stunning sets accompanied by elaborate lighting and special effects, a rousing musical score, and a heart-pounding climactic moment – resulting in one of the largest flume drops in the country.